In a letter sent out to parents and faculty, Oholei Torahs Board of Directors accused a Chabad ‘community news’ website of “blackmail and extortion without even the slightest regard for integrity, truth and fairness” in the wake of comments that they posted maligning the Moisad and its functions. In a surprising and unusual letter sent this afternoon to parents, Oholei Torah’s board of directors have leveled serious allegations of “blackmail and extortion” from a Chabad ‘community news’ website. This comes just days after the institution hosted a very successful gala dinner in which Canadian businessman Hershy Friedman was the guest of honor. 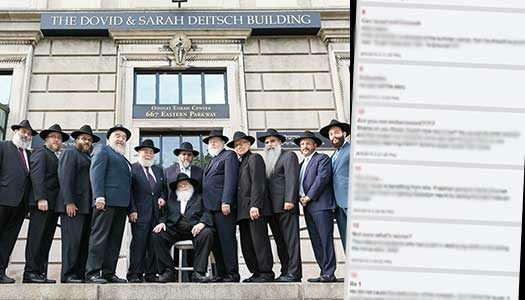 “This was a shameful attempt to sabotage a donation that was made to the Rebbe Moisad purely for personal gain,” said a person with knowledge of the events leading up to the letter being sent. Yossi Rivkin, the sites Israeli co-owner, claimed to have no knowledge of the events surrounding this letter and would not make any public comment on the matter. 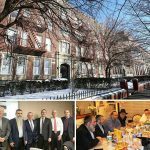 The letter was signed by the schools Executive Director, Rabbi Joseph Rosenfeld, along with all twelve members of the institutions board of directors. As the Board of Directors we are deeply disturbed with certain articles and “comments” that have been circulating over the past few weeks. These attacks are an attempt to blackmail and extort Oholei Torah without even the slightest regard for integrity, truth and fairness. 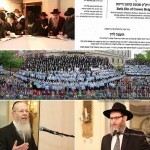 Oholei Torah decided to stay above the fray and focus on our mission of educating our talmidim without the distractions that an inevitable back and forth would bring. But more recently, attacks against specific individuals, known for greatness in torah and chessed, from within and outside of anash, has caused a great chillul Hashem and chillul Lubavitch. At this point our voice must be heard. As part of our staff, parents and the greater Oholei Torah community, we feel obligated to make you aware that these stories are nothing less than slander and personal agendas that have nothing to do in any way, shape or form with the actual issues at hand. We all know how “pashkvillen” – anonymous letters – pained the Rebbe, and has no place in Lubavitch. Again, we are expressing our dismay to these wild and false statements and re-assure you that this is no more than a pashkvil and it should be recognized as such. As seen at the gala Dinner earlier this week, we have a great deal of community support and we thank you for standing in solidarity with our mossad. May we only spend our time and energy strengthening and expanding Oholei Torah, according to the Rebbe’s directives. If anyone wishes to contact us, you may reach us personally, or via email at Board@oholeitorah.com. Wishing you an enjoyable, safe and healthy summer. Given the nature and sensitivity of this article CrownHeights.info will not be allowing any comments.